“Here’s your Wrike manual,” announced the VP of Marketing. A huge thud hit my desk. The Wrike manual of how my team was supposed to create projects and processes was over 50 pages long. Deep anguish filled my heart. This wasn’t a project management process, this was insane. “I’m supposed to read…that?” I asked. The Wrike manual for project management was filled with naming conventions, codes and how to expand and contract the ever-expanding left column of projects. Granted, this wasn’t an official Wrike document but something our project manager thought was necessary. The whole idea was definitely overkill. But if the tool were simpler to use, surely the manual would only be one page with our particular business needs and processes? I had to search the “folder” list just for something that may be relevant and continually click and expand, click and expand into infinity. Then, once I finally found the project, it would pull into a view where I had to ascertain the status. Calls upon calls were made about how to use Wrike. More time was spent about the right ways to update Wrike than actually ever doing the work. Wrike seemed like it was built specifically for engineers and highly logical thinkers; not a tool that everyone could use. It seemed impossible to do small things like task management or a to-do list, without being overwhelmed. There had to be a better alternative. There had to be a better management solution for projects, updating tasks and creating better work. There has to be project management software that is intuitive and easy-to-use and, most importantly, without a 50-page manual. If you’re in a similar situation with Wrike, check out these top Wrike alternatives and Wrike competitors to find a new project management software solution that really works. What’s great about ClickUp? The whole organization can use ClickUp rather than different teams and team members using different tools that won’t communicate with one another. Within ClickUp, easily customize the view of your workflow–such as a list or board. You can also customize statuses to fit the type of project that you’re working on in context! With a plethora of togglable options, you get flexibility no matter whether you’re a marketing, sales, development or customer support team. ClickUp takes almost the opposite approach of Wrike, being designed from start to finish with the user in mind. It focuses on a clean, sleek user-friendly interface that places helpful UI/UX at the forefront. You have multiple views, such as a List, Gantt chart and boards for your projects. The design isn’t all. The ClickUp team has thoughtfully considered how real people interact and how work actually gets done. Your team members aren’t forced into a certain way of working. Instead, it lets you naturally react to the work at hand and gives you helpful features along the way. You’re not locked into a certain system, rather, you can adapt it to fit your team. You can even set up ClickUp to handle springs, scrum and more agile project management methodologies. This feature encourages you to actually comment and talk within the task–not in a separate communication tool. If someone has a great idea, then that comment can immediately become a subtask. Presto! Project managers love this. Ready to try ClickUp? Import a CSV file from Wrike. It’s the ultimate showdown: Wrike vs. Asana! If you’re trying to get away from the complications of Wrike, than Asana is a reasonable choice. It’s easy to navigate, has amazing design and has simple task management features. It’s a downgrade from Wrike and Asana doesn’t have as many helpful features–which put it at a disadvantage for sure. Wrike has folders; Asana has sections. But this is a “potato/potatoe” conversation. Both have custom workflow and task options, which is nice if one project needs a little tweaking if it falls out of the norm. One of the key selling points of Wrike over Asana is the activity stream. This feature lets you see updates and notifications from across projects and lets you take immediate action if needed. Both Asana and Wrike offer interesting dashboard reporting to help you quickly see project statuses, updates and workload management. But with Asana, you’ll run into similar problems as with Wrike. Namely, it’s difficult to get your whole organization on board. Asana doesn’t offer many different views or the customization you may need and sometimes it’s often down. Unlike ClickUp, you’ll have to lock yourself into a certain view from the start–such as lists or boards without the flexibility to switch back and forth. This point is where you may want to consider a tool like ClickUp. It offers the same core functionality but goes far beyond the basics with features that you never knew you needed–like the multiple list views, seamless integrations and task tray feature. ClickUp is also updating and innovating faster than either Wrike or Asana for the top features, with more to come every week. See how ClickUp compares to Asana as a Wrike alternative. Using Asana now? Import! “Monday”, formerly Dapulse, has great high-level views, which is something that Wrike isn’t very good at. Their grid-style makes it attractive. Also, it’s not difficult to use. Their drag-and-drop user-friendly interface lets you rearrange things into the way each person prefers. Their visual timeline also provides a quick snapshot of what your team members are working on. Managers can use that to gauge workloads, resources and time. The problem is this: “Monday” only offers high-level overviews. It doesn’t have tasks or really even projects. It becomes another mnagement tool that you have to lump on top of your real to-do list and existing workflow. They also recently changed their name to “Monday”, which if you can’t tell, can become very confusing. And they offer no forever free version. See how ClickUp compares to Monday as a Wrike alternative. 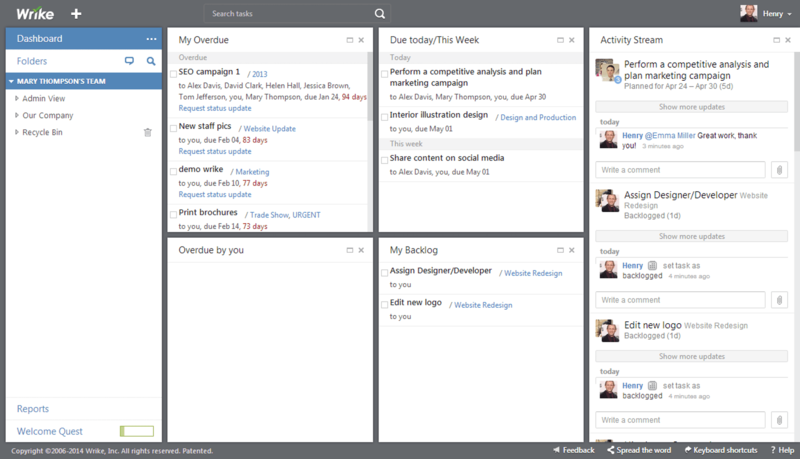 Flow advertises itself as simple task management, and it’s exactly that. Tasks are arranged in an easy-to-follow way, letting users quickly update where they are. Their reporting on task and project progress is also a plus. It lets you know how far along a task is until it’s completed, and how each team member is contributing to it. The problem is that the projects aren’t linked to any larger workspaces, which could cause confusion. For this reason, it doesn’t make sense for your whole organization to use–only a certain subset. Plus, you don’t get too many features at that price point. Yes, it’s less expensive than Wrike, but what are you really getting? A project management tool like ClickUp gives you more for free! See how ClickUp compares to Flow as a Wrike alternative. Import a CSV file from Flow! 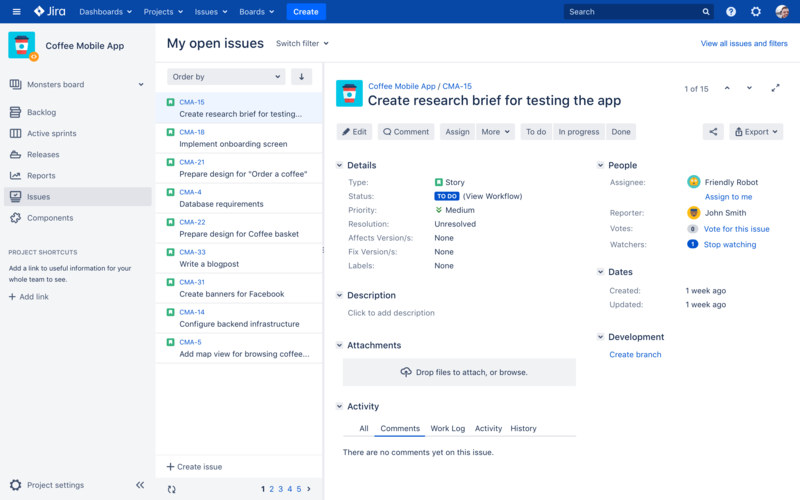 The only other project management tool that I’ve used that matched the horror of my Wrike experience was–you guessed it–JIRA. Don’t get me wrong, JIRA is a very powerful tool. It has loads of functionality, including issue-tracking, bug-tracking and more that can work for agile project management teams. The search function is amazing, if you know how to use it. And that’s the key with JIRA. You need to refer to the help documents a lot. 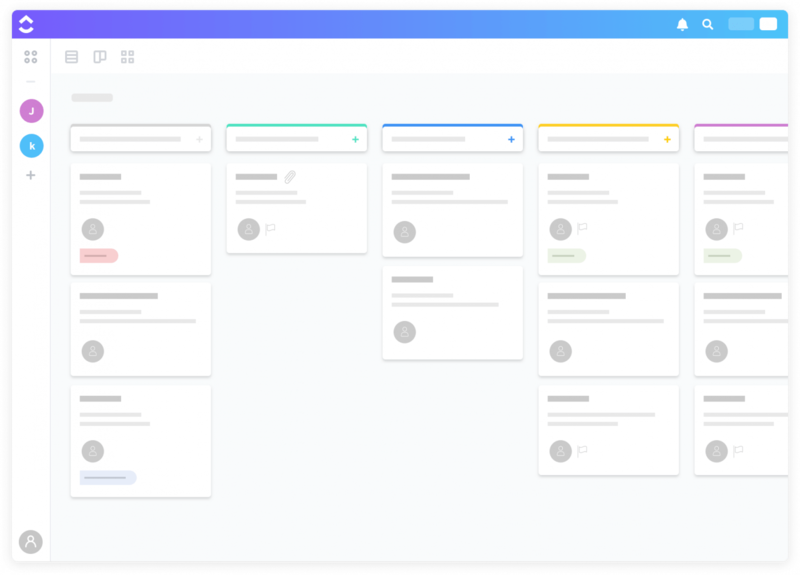 JIRA was made for software development teams, but embraces a lot of old-school design and methodology. 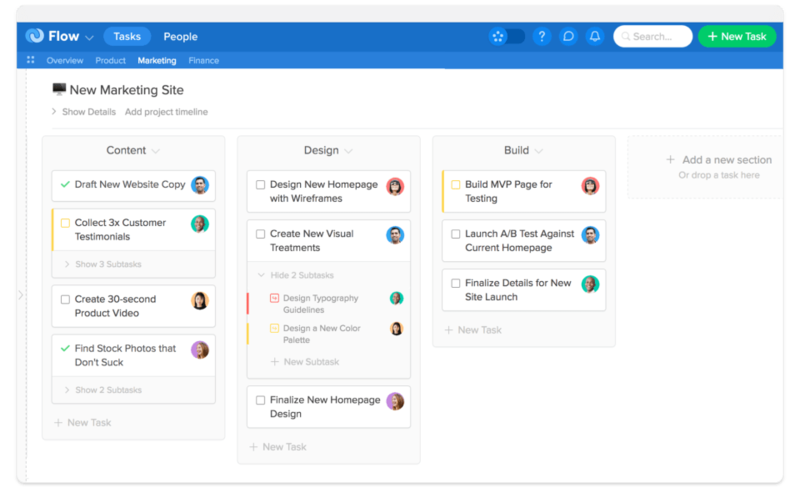 Even Atlassian, who built JIRA, realized that there was a problem and acquired Trello. And JIRA doesn’t play nicely with all teams. Again, it’s great for development and IT teams who need to fix a lot of things, but certainly won’t work for everyone across the board. And if you try to make it work for everyone, then no one will want to use it. It will surely be hard to transition from Wrike to JIRA, and another frustrating experience. See more JIRA alternatives here. 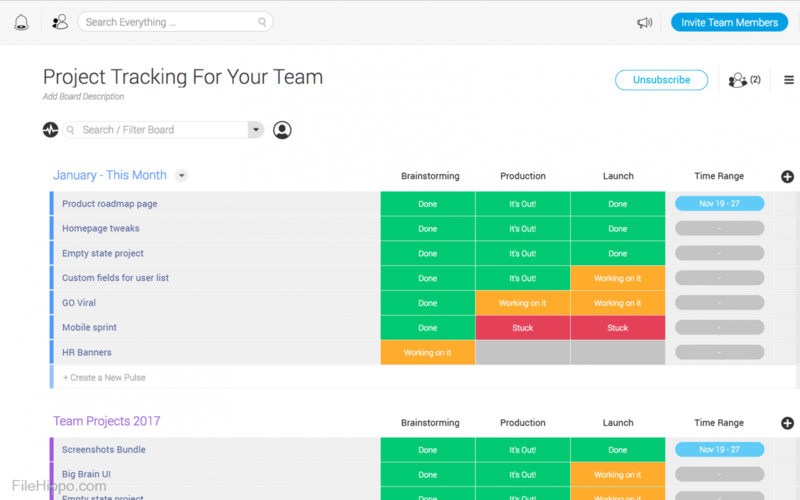 If you’re still searching for a project management tool that’s built for all teams, including developers/software engineers who rely on Github, then ClickUp is worth checking out. See how ClickUp compares to JIRA as a Wrike alternative. Using JIRA now? Import! 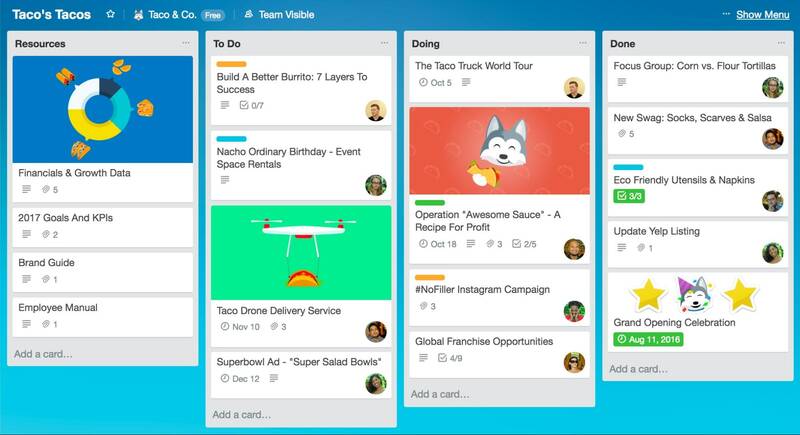 If you’re looking for simplicity, then Trello is it. Trello really excels with starting personal projects and making a quick to-do list. But there’s a downside to its bare bones nature. It actually can’t do a lot on its own. Because of its integration, you have to layer tool upon tool just to get anything done. We’re all for customization and integrations, but Trello makes it almost impossible to get anything done without adding another integration. 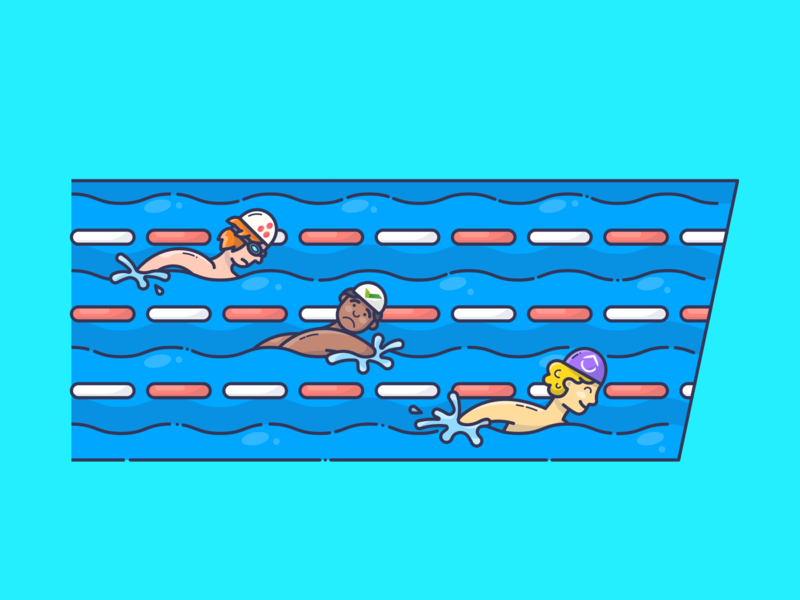 Also, if you have a large and/or growing team, you’ll run past the features of Trello in a heartbeat. It has a few communication features. Project timelines are difficult to make. Scheduling due dates and deadlines are next to impossible. 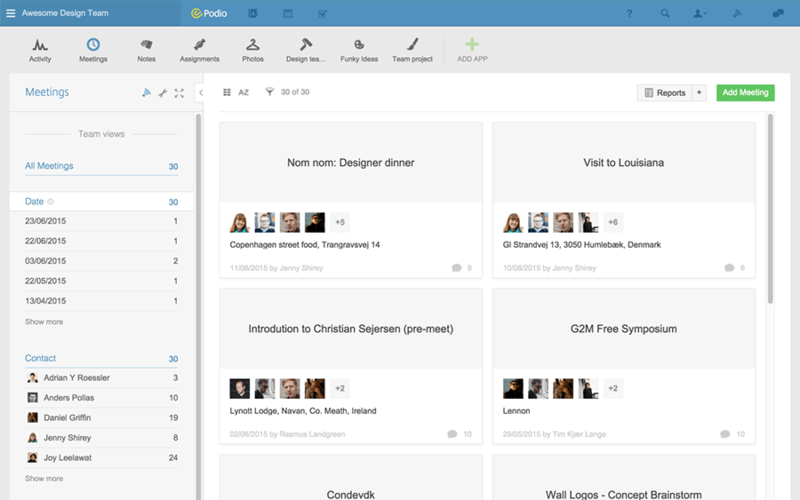 Trello doesn’t fare well with a large workload, jumping from project to project. It’s difficult to know what’s for you and what’s assigned to the team. A solution like ClickUp gives you a central place for all of your information, allows you to quickly edit and multi-task, and has an amazing user-friendly interface just like Trello. And small teams like ClickUp because of its notification features, which directly update you with comment and task completion notifications. If you like the simplicity of Trello but enjoyed the list views and power of Wrike, check out ClickUp. See how ClickUp compares to Trello as a Wrike alternative. Using Trello? Import! If you’re in love with Gantt charts, you’ll love GanttPro. You only need a few minutes to become proficient users–it’s that simple to understand. You plan the projects and GanttPro fits them on your timeline automatically. The drag-and-drop timeline is also an amazing feature to quickly reschedule your workflow if too many things overlap. You can also prioritize tasks, indent and outdent, set dependencies, durations and monitor the progress on the project Gantt chart. A great alternative to Wrike, especially for those who prefer Gantt charts. Import a CSV file to use ClickUp! If you want to escape the Wrike folders, then Basecamp could be a good option. It has more of a top-down hierarchy where tasks build upon one another into a crazy long document, with just a few more clicks to see everything. 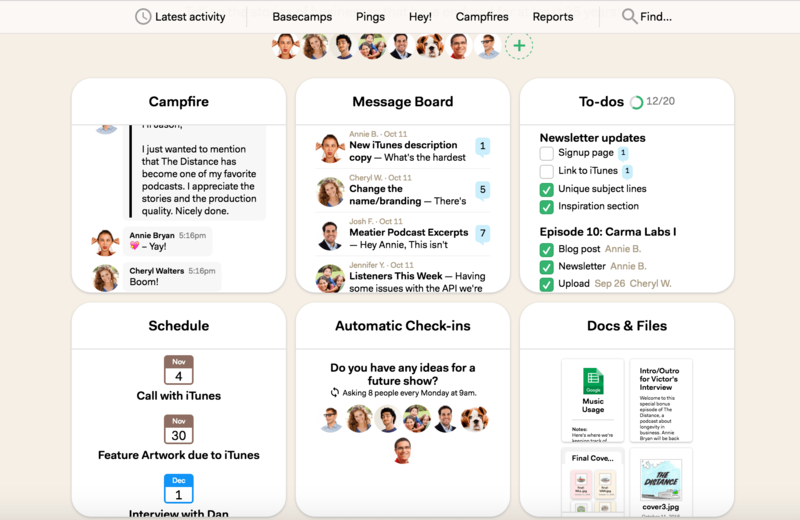 Basecamp offers a different way to see things. Another difference? Wrike has a real Gantt chart, whereas Basecamp integrates theirs into more of a calendar with due dates. The estimates are harder to discern in Basecamp. Another difference is that Wrike has an activity stream to get notifications and updates, whereas Basecamp opts for a forum model. However, both Basecamp and Wrike are really lacking as solid project management alternatives in one key area: design and usability. Basecamp is super simple to use–no doubt about it–but they’ve opted to keep a no-frills interface that doesn’t allow for much creativity or collaboration. Wrike’s design is similarly outdated, with far too many items crowding out a screen. But you’re not here just for looks. You need a Wrike alternative to get things done. ClickUp has the essential features that you need in an interface that looks awesome. And, unlike Basecamp or Wrike, your whole team can use it — including developers, designers or marketers. See how ClickUp compares to Basecamp as a Wrike alternative. Import a CSV file! Podio gives you even more customizable ability than Wrike can offer, in the same structured, format. Podio isn’t cutting-edge or too innovative but is a reliable tool that helps you get the job done and improve your team collaboration. You can customize the statuses, admin access and the structure of your projects in a more flexible way than with a lot of other project management tools. Podio is also owned by Citrix Systems, which is a great fit if you’re already using many Citrix programs for the cloud, VPN or desktop virtualization. However, because of that background, Podio is not that intuitive to use, despite being compared to Facebook’s interface. It can take some help to get going and understand, beyond just wondering how to use some of the features. If you’re looking for a tool that’s easy to use from the start, then Podio is not the top choice. See how ClickUp compares to Podio as a Wrike alternative! Import a CSV file into ClickUp. The search can be overwhelming, even though you can have great team collaboration in a superior platform for a lower cost. The best options these days are web-based software programs in the cloud, not relying on local storage or hard drives to store information. Your data is always backed up and available from the start. So while you’re looking, don’t forget the goal: to get more done in a productive way that your whole team loves using. The easier the project management software, the more time there is to actually get things done. Think about how you can streamline your workflow, your file-sharing, improve your collaboration and dive into creative projects all without a huge manual. 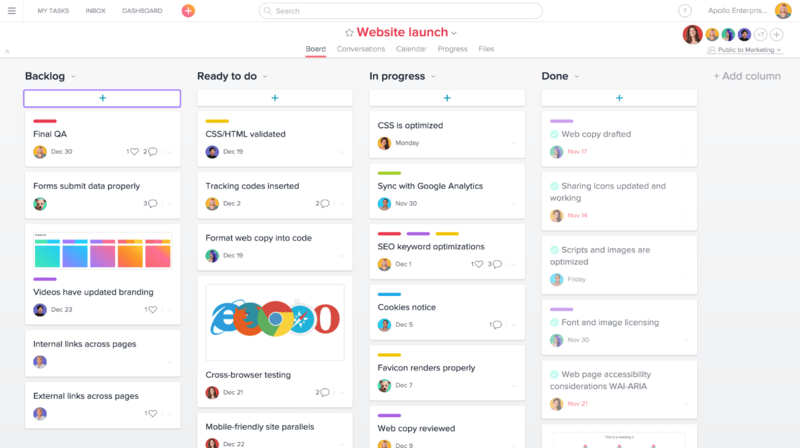 Instead, think about a project management and productivity platform like ClickUp that will truly transform the way you work and collaborate.